Welcome back to PeerFly’s featured offer series! To kick things back off, let’s talk about Shaw Academy. 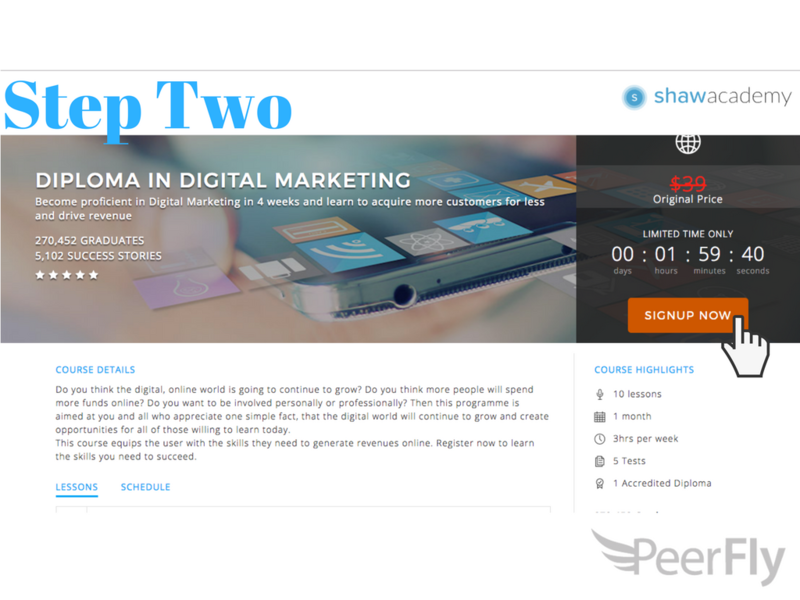 Shaw Academy is an online learning resource that we’ve been excited to have on PeerFly since February. 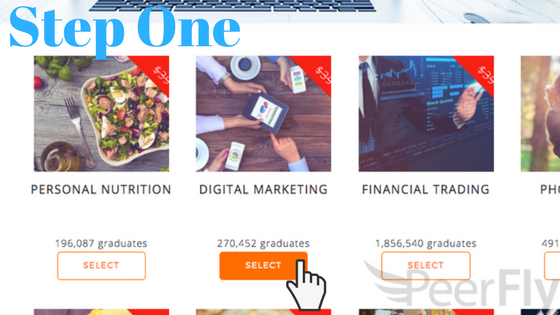 Offering course in everything from sports nutrition to financial trading to full stack development, users can browse a massive catalogue of webinars that promise a comprehensive understanding of a subject in just four weeks! 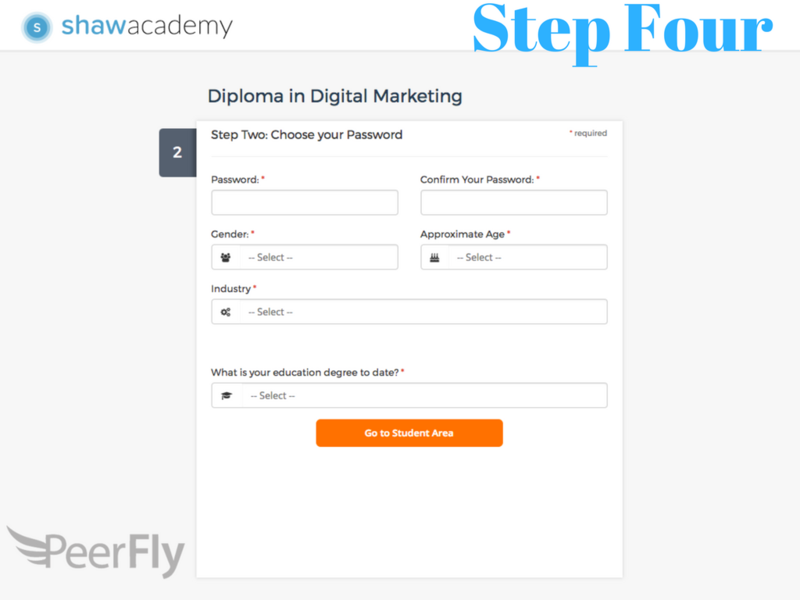 Shaw Academy has a four step conversion flow. First, users select one of Shaw Academy’s 13 courses they would like to try for free. Users opt into the free course in the next step and proceed to enter their basic contact information on the third page. Finally, users create an account. Upon entering a password, gender, age, industry and education level the respondent is fully opted in and the pixel is fired! You may have noticed the term “Key Performance Indicator” mentioned on PeerFly’s offer pages. 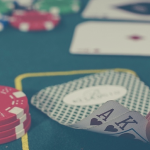 Often called KPI, it’s basically the metric a client uses to determine your quality. It’s helpful to keep in mind when writing your ad copy to make sure that you’re clearly explaining what information prospective leads will be asked to provide. For example, Shaw Academy defines their KPI as 20% attendance on the first webinar. From that we can determine that in our sales pitch should encourage users to not only sign up for free but to go on to complete the webinar series. Shaw Academy sent over some great information to help you set up and optimize your campaigns, check it out! 1. What is the age range of your best customers? 2. What promotion type do you think is the best for your offer or offers? 3. What percentage of conversions are coming from mobile traffic? 4. What keywords, Ad Headings, Ad Copy, or Banners are converting best? Our top banners are added to PeerFly . 5. Have you had any success with blogs? If so, what type? Bloggers haven’t been our largest traffic source but we do see some traffic from photography and nutrition bloggers. 6. What type of volume are your top affiliates doing on these offers? 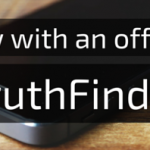 Our top affiliates are sending us 500 leads a day! Have a suggestion for next month? Let us know in the comments! I'm an Affiliate Manager at PeerFly.com. Really cool will be checking out the courses!!! This article is really awesome and the questions are to the point and great. Keep up with cool stuff like that! 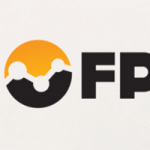 Interview With an Offer: FPTraffic!